Where do you even begin when talking about a movie that is probably the biggest, most highly anticipated film of what? The last year? The last decade? It’s a film shrouded in extreme secrecy and comes with huge expectations. The Star Wars prequels left fans disappointed. Star Wars: The Force Awakens is back to the Star Wars we know and love. Jedi Master Luke Skywalker (Hamill) has gone missing, and everyone, especially the Dark Side, which is now known as the First Order, covets his whereabouts. Much like in A New Hope when R2-D2 was given the plans to the Death Star, a new droid by the name of BB-8 is now held responsible when pilot Poe Dameron (Isaac) hides the map to Luke’s location inside the droid. It’s his only hope when the First Order strikes down on his base with the evil Kylo Ren (Driver) looking for that map. Poe is captured and brought aboard their space ship. Help finally comes for Poe in an unlikely place when Finn (Boyega), a storm trooper, gets him to a jet in order to escape. They make their way to the desert planet of Jakku where BB-8 is now in the hands of Rey (Ridley), a scavenger who’s just trying to survive. Together they must get the map into the hands of the Resistance, the former Rebel Alliance. It’s a good thing that hunk of metal Millennium Falcon is collecting dust and ready to be put back to good use to get them out of Jakku. This rich history provides more depth for the characters we are seeing once again like Luke Skywalker, Han Solo (Ford), and General Leia Organa (Fisher). Kasdan appropriately fits them into this story and connects them to our new characters without it feeling like a hokey way to bring the actors back. There’s an emotional core to the relationships at hand that feels very authentic. With every hug, every tear, every yell, and cheer, I felt it inside of me to the point of having audible reactions in the theater. Long gone are the days of a young whiny Anakin Skywalker where I rolled my eyes at the cheesy dialogue. There is danger and urgency in The Force Awakens with incredibly high stakes. Kasdan, Abrams, and producer Kathleen Kennedy (E.T., Jurassic Park) have done a remarkable job at keeping The Force Awakens fit into the galaxy we know and not just in terms of bringing old characters back, but with the use of similar themes and concepts. Like we saw in the original trilogy, the ideas of death, rebirth, identity, and being true to yourself are very much at hand here. Some previous plot devices are directly used again, which may distract and anger die-hard fans if they wanted everything to be new and fresh. The action scenes are non-stop with the First Order always fast on the trail of the Millennium Falcon. Kasdan and Abrams put our characters in danger over and over, which always kept me guessing how far they would go. It cements the fact that no one is safe. I was on pins and needles every time a lightsaber was pulled. Abrams honors and treats our veteran actors and their characters with the respect they deserve. Harrison Ford and Peter Mayhew’s first entrance as Han and Chewie is memorable, and if it was live theater, I would have given them an entrance applause. The same goes for Carrie Fisher. It’s great to see them together on screen again as these two characters. Peter Mayhew’s Chewbecca is just as lovable and cuddly as ever. Last, but definitely not least, is Mark Hamill’s Luke Skywalker. It’s another grand moment when Luke is revealed that further cements how deep we are into this new story. 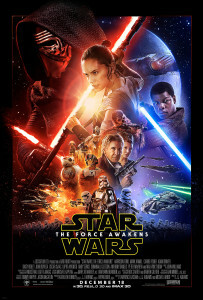 Newcomers Daisy Ridley and John Boyega are simply fantastic as Rey and Finn, respectively. They have wonderful chemistry together and can no doubt lead this story and many more films if need be. Ridley makes Rey strong and independent. Boyega brings a great sense of humor to Finn. Adam Driver (Girls), Domhnall Gleeson (Brooklyn), and Gwendolyn Christie (Game of Thrones) make for fierce and terrifying villains of the First Order. Driver brings more depth than you expect from Kylo Ren. Yes, he’s the core villain at hand, but Driver uses his character’s past quite effectively by making him a mystery along the way. You never know what he’s going to do next. It’s no secret why the marketing for the film has been so unspecific. It has teased us in the best possible way without divulging too much, and like the previous films, there are secrets, revelations, and shocking moments along the way. It’s an emotional rollercoaster for our characters and the audience. John Williams’ new score compliments all of these moments so brilliantly. Abrams and Kennedy have given the fans a film they have been yearning for since the days of the prequels. They have returned to using practical effects, real onset filming locations, and minimal CGI effects. Even the adorable BB-8 is a real animatronic prop. The world seems tangible again with characters and storylines we are invested in. If The Force Awakens sets us up in the same vein as A New Hope, I can only imagine that Episode VIII will delve deeper and be just as good, if not better, like The Empire Strikes Back did for the original trilogy. Is It Worth Your Trip to the Movies? 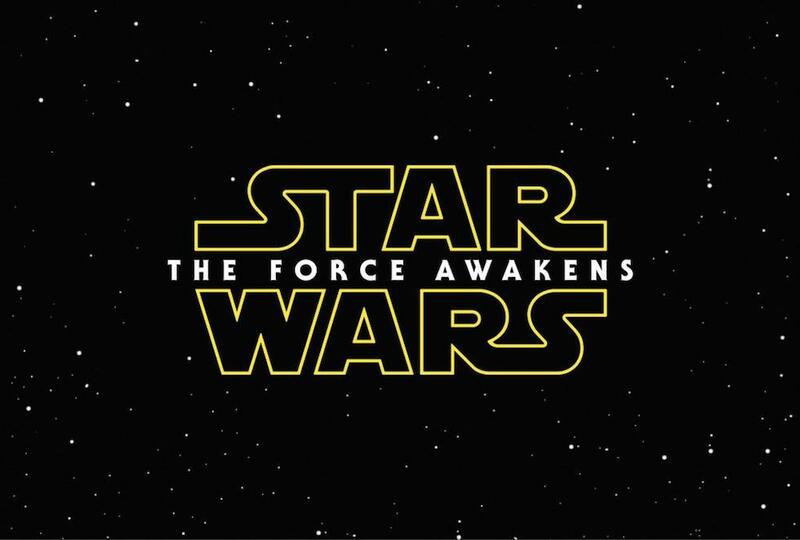 The Force is strong with Episode VII. Paul due to your review, I think I will go see it. J.J. Abrams always has let me down. I hated his Star Trek. Lost was fantastic in the first season and then what happened and so on. That’s great to hear. Thank you! I think it helps that J.J. is really staying within the world of Star Wars that we know with these characters, themes, and ideas and not trying to reboot and recast like the Star Trek franchise did. Let me know what you think!